Our commitment: to support our members on their pathways to becoming truly exceptional advisors. Everything we offer to support your continuing competence as a practitioner is peer-selected and peer-reviewed, ensuring it will be relevant to you. Join today to experience the benefits below. New to the Institute? Join online or submit a hard copy New Member Application today. Already a member? Renew online or submit a hard copy Member Renewal Application now. Connect with our advanced community | Our members are the best and brightest advisors, consultants, and wealth managers who share a drive to continually advance their knowledge and skills. Connect directly with this elite group of practitioners: get involved in our LinkedIn group, attend one of our live events, or volunteer on a committee. Attend exceptional live events | Discounted registration fees of up to $200 on every event (discount varies per event). Network with thought-leaders in the industry and learn from both leading academics and advanced practitioners to experience the unique blend of technical theory with practical application. Check out the 2019 conference calendar. Take convenient, online education | Discounted registration fees of up to $200 on every offering (discount varies per offering). Immerse yourself in advanced, expert knowledge with interactive, self-paced courses, and stay ahead of trends with focused virtual events or bundled packages of recorded sessions from our premier events. Pursue advanced certifications | Hundreds in savings on application fees and an 80% discount on recertification fees for the Certified Investment Management Analyst® (CIMA®), Certified Private Wealth Advisor® (CPWA®), and Retirement Management Advisor® (RMA®) certification programs (discount varies by certification).  Investments & Wealth Monitor | Features industry news, discussions of timely investment topics, legislative updates, practice management tips, and legal information, mailed bimonthly. Mobile app and electronic archive also available. Journal of Investment Consulting | Focus on empirical, graduate-level research and commentary from academic authorities and industry leaders, mailed annually. Electronic archive also available. Retirement Management Journal | Dedicated exclusively to research and innovation in the world of retirement income planning and management, mailed annually. Electronic archive also available. Investments & Wealth Research | Proprietary, in-depth research on focused topic such as Characteristics of High-Performing Teams or Growing Client Loyalty with High-Net-Worth Clients, mailed quarterly. Electronic archive also available. Insight | E-newsletter featuring educational content and industry news highlights, emailed twice per month. Legislative Intelligence | E-newsletter on U.S. legislation and regulations that affect you and your clients, emailed monthly. Volunteer | We are an association of practitioners, for practitioners. Join one of our association committees to guide us on the trends most impacting you. Together we can raise the professional bar in the industry! Though you may find third-party test prep or Institute resources to be helpful in your studies, they are not required and are not intended to provide comprehensive coverage of all topics associated with the CIMA certification process. The Institute’s resources are designed to help you focus your study and vary your study resources, but they are not meant to provide exhaustive coverage of all topics on the certification examination. Barron's subscription is only available within the contiguous U.S. and does not include digital access. Dow Jones remains the sole distributor of Barron’s.